I normally don’t post recipes on this blog but since it is the holiday season and many people are going to parties and bringing hostess gifts and treats I figured why not post my recipe (I’ve been making them for years) for Greek butter cookies known as Kourabiedes. I usually present them in a decorated plastic container. I carefully nest each cookie in a cupcake liner and layer them in the container. The cupcake liner offers a mini tray to keep the powdered sugar where it belongs…on the cookie. And you can’t just give them in the container without putting a poinsettia bow on it. You know I love my Bowdabra bowmaker it always makes it fun and easy to decorate any cookie container! Cream the butter until it is light and fluffy, beating for several minutes. Beat in sugar, egg yolks, whiskey (Or vanilla), and nuts. Sift baking powder and flour and carefully blend into the butter mixture. Shape with your hands into small crescents. Place on baking sheet lined with parchment paper in a 400-degree oven for 15 or 20 minutes. My oven is kind of hot so I baked them at 350 degrees. You can adjust your oven for however you need. Check and remove from the oven when the bottoms are lightly browned. Place a large sheet of waxed paper on another cookie sheet and sift on confectioner’s sugar. Place the cookies in the sugar and sift additional sugar on tops and sides. Be generous with the sugar. Cool thoroughly before storing. Place the cooled cookies one at a time in cupcake liners and layer in the plastic container. 1. Cut a 12-inch piece of bow wire and feed through the loop in the tops of three jingle bells. Tie a knot to secure. Repeat this step again for two groups of three jingle bells. 2. Cut an 24-inch piece of Bowdabra bow wire and fold in half. Place in the bowmaker. You will have a loop on one end two pieces of wire on the other. 3. Cut a 12-inch piece of green 1 ½” wide wired ribbon. Fold the ends in half and cut at an angle on both ends. Place in the bowmaker with an equal amount of ribbon on each side. 5. Place the prepared jingle bells you threaded on the Bow wire in the Bowmaker next, one group of bells on each side of the Bowmaker. 6. Make two more loops, one on each side. 7. Scrunch down with the Bowdabra wand. 8. Thread the two loose wires through the loop and pull tight. Remove from the Bowmaker and tie in a knot. 9. 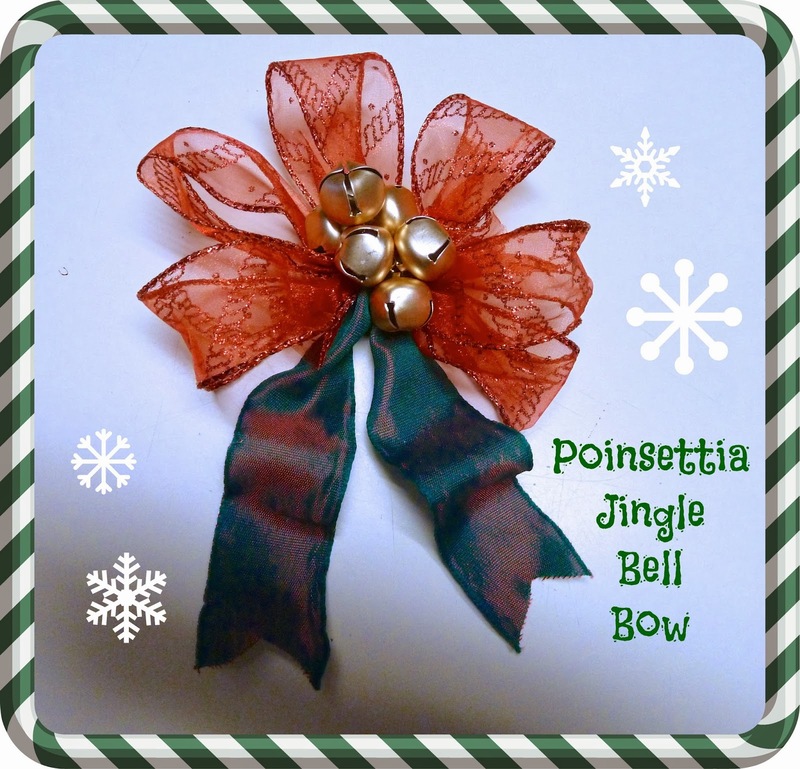 Fluff up the bow and pull the green ribbon to the bottom. 10. Fold a piece of packaging tape together and use to attach to your container or package. We actually live near a little Greek town and the bakery is AMAZING! I will have to try this, thanks for sharing!